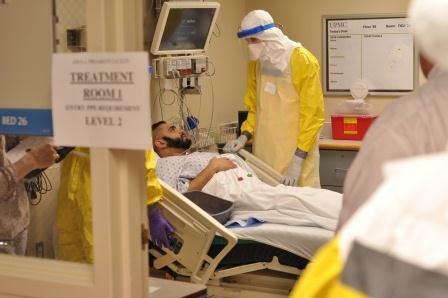 Recently WISER and UPMC have conducted refresher training programs for UPMC's CRT or Clinical Response Team for management of infectious patients. This training includes management of patients with Ebola and other highly contagious diseases and viruses. Attendees participated in lecture, Donning and Doffing exercises as well as learning new PAPR gear. In addition attendees participated in full scale exercises where patient management and scene safety were reviewed.